SAN FRANCISCO, 08 November 2018 – The majority of companies will change their brand protection strategies to cover new cybersecurity and fraud threats in the next year, according to new research by MarkMonitor, the world leader in enterprise brand protection. In addition, 72% said that brand protection is gaining attention across their organisation as a result of online threats. The research polled marketing decision makers from a cross section of industries, and five countries. Over half of respondents identified the dark web dangers as a risk to business, and 69% said that cyber threats influence their domain name strategies. Research found that the role of brand protection is shifting: 46% of brands said there will be more involvement from board level, while a further 46% said more involvement from IT and security teams is needed. “This is a significant step forward for online brand protection, especially considering that nearly two-thirds of respondents believe infringement has increased over the last year,” says Chrissie Jamieson, VP of marketing, MarkMonitor. “The fact remains that brand protection is gaining more attention within organisations because the threats to reputation, customers and the bottom line are increasing at pace, and this is being recognised at the highest levels. 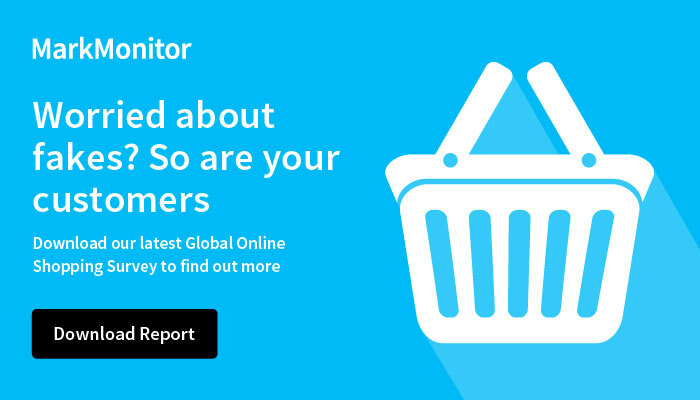 The research commissioned by MarkMonitor and conducted by independent survey firm Vitreous World, surveyed 600 marketing decision makers from the U.K., U.S., Germany, Italy and France.